When you're in need of reliable plumbers, simply call and an experienced, expert and friendly plumber will soon get your home back to normal with the minimum of fuss. We offer the full range of plumbing services, so whether you need something simple like a leaking tap repaired or want to discuss a new central heating system installation, we're the experts to call. We've been serving the Fishponds and Downend area for many years and, consequently, have earned an enviable reputation with many satisfied customers returning time after time for their plumbing requirements. 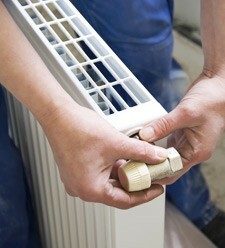 To avoid taking unnecessary risks, you should use Gas Safe registered plumbers. The plumber we send will be Gas Safe registered, thus ensuring you the peace of mind that gas-related plumbing has been undertaken safely and legally. Don't take chances - call the qualified experts. We're here 24 hours a day, 7 days a week. Just dial 0117 345 9036 and a plumber will soon be with you - we DO NOT charge a call out fee.